ITN Productions has appointed Kathryn Dufty as the first Head of Creative of its advertising production business. 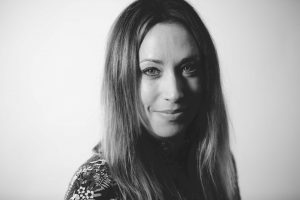 Formerly creative director of multi-platform production agency Kream (part of the Karmarama group), Dufty has created campaigns and content for brands including M&S, British Airways, Vauxhall and Historic Royal Palaces. She will head up the creative output of TV commercials and branded content teams within ITN Productions, ITN’s in-house production business. It produces bespoke creative and commercial content for broadcasters, businesses, brands, rights holders and digital channels. Laetitia Rennie, Director of TV Commercials and Branded Content, ITN Productions, said: “ITN Productions is gaining real momentum in the commercial ad landscape, working in collaboration with directors, agencies and direct with market-leading brands. ITN Productions’ work has included Suzuki Saturdays with Ant and Dec, I am Team GB for National Lottery and Matalan: the Show with Denise Van Outen.